Jorge M. Rodriguez Zuñiga is Executive Director of the National Forestry Finance Fund (Fondo Nacional de Financiamiento Forestal, FONAFIFO), San José, Costa Rica. The recent refusal of the Government of Costa Rica to grant oil-drilling concessions on its territory or to allow open-pit gold mining is in line with the overall national policy to restore its natural resources after a long period of depletion. Instead of tapping its nonrenewable resources to finance development, Costa Rica now favours the use of environment-friendly activities such as tourism, which is the second largest contributor to the gross domestic product (GDP) (State of the Nation Project, 2001). preservation of natural scenic beauty, particularly for tourism. 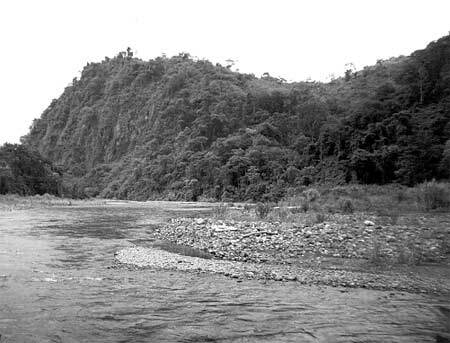 Even though Costa Rica has a long history of conserving natural resources through the National Park System and of developing incentive mechanisms for the rehabilitation of wooded lands (Arias and Castro, 1997), it took years of policy debate and societal consensus building to elaborate the approach of paying for environmental services. Forest Law 7575 of 1996 provides the legal basis for environmental service payments, which are clearly defined as “those services provided by forest and forest plantations to protect and improve the environment”. The Public Services and Regulatory Authority Law provides the institutional framework, while the Biodiversity Law outlines Costa Rica’s contribution to safeguarding biodiversity conservation as a global common, in line with the decisions of the United Nations Conference on Environment and Development (UNCED), 1992. International agreements such as the United Nations Framework Convention on Climate Change (UNFCCC), its Kyoto Protocol and the emerging Clean Development Mechanism (CDM) have enabled Costa Rica to take a leading role in the prevention of global climate change through internationally financed projects in natural forest management and conservation as well as plantation forestry, with particular emphasis on the participation of smallholders. Costa Rica has thus linked its legal obligations to UNFCCC with the domestic potentials of fostering sustainable forest management in an innovative way. While the legislative process was ongoing, the National Forestry Finance Fund (Fondo Nacional de Financiamiento Forestal, FONAFIFO), already established in 1991 under the Ministry for Environment and Energy (MINAE), broadened its scope to embrace the objective “to attract financing for the programme of payments for the environmental services offered by natural forests and forest plantations and to develop other necessary activities so as to strengthen the development of the forestry sector”. In the late 1990s, FONAFIFO established the Environmental Services Payment Programme with its own management structure and governing board. At present, the programme is executed under the policies established by MINAE. While the National System of Conservation Areas (SINAC) – a general directorate of MINAE – is responsible for overseeing project activities, FONAFIFO is responsible for financial administration and for the programme’s payments to landowners. The main source of funding for the Environmental Services Payments Programme is a fuel tax, also referred to as the “ecotax” (Table 1). This special tax on the consumption of any crude-oil derivates, passed as part of the new Forest Law in 1996, caused major policy debate involving the National Constitutional Court, because fiscal policy in Costa Rica (as in most other countries) opposes the “earmarking” of any tax or levy for specific purposes. Initially, legal interpretations of the Forest Law and interministerial disputes caused major delays in making the funds raised by this tax available to FONAFIFO. However, such problems have been solved, and FONAFIFO is now receiving the funds without delays. In passing this controversial fiscal measure as part of the Forest Law, Costa Rica has visibly succeeded in placing forests high on the list of national priorities. “Environmental Service Certificates” constitute another novel financing instrument. These certificates are issued for voluntary contributions by the private sector, and the funds are used to finance the programme of payments for environmental services. The buyers of certificates normally define to which forest areas the funds must the applied. In addition, through agreements with hydro-electric companies, FONAFIFO obtains payments for the protection of water resources. Four companies are involved in this programme, with a total investment of US$5.6 million at present (Table 2) (MINAE, 2002). The international community places a high degree of confidence in the Environmental Services Payment Programme and the institutional framework developed by FONAFIFO and SINAC to implement it. For example, the World Bank and the Global Environment Facility (GEF), through the so-called Ecomarkets Project, have provided, respectively, a credit line of US$32.6 million and a grant of US$8 million to help finance the programme of payments for environmental services and to strengthen FONAFIFO, SINAC and the local non-governmental organizations involved in the implementation of the programme. It is obvious that such an ambitious programme, which makes payments for environmental services to thousands of forest owners and farmers, faces particular challenges in terms of overall governance, financial administration and the development of political will for continued implementation. However, Costa Rica has succeeded in supporting sustainable forest management and conservation, and in increasing national forest resources by means of direct payments to forest owners. Costa Rica has defined its national market for environmental services such as biodiversity, water, climate and recreation by creating the demand through legislative measures and determining the value of services by political decision. In addition, Costa Rica has “bundled” the different services, making it possible to provide relatively high payments which are used to promote not only plantation forestry, but also regeneration of secondary forests and other degraded landscapes. The concept of payments for environmental services of forests offers a tremendous potential, and Costa Rica seems to be succeeding in using such payments to increase forest cover, to manage existing forest resources sustainably and to increase the beauty of its landscape. Arias, G. & Castro, R. 1997. Costa Rica hacia la sostenibilidad de los recursos naturales. San José, Costa Rica. Mimeograph. Espinoza, N., Gatica, J. & Smyle, J. 1999. El pago de servicios ambientales y el desarrollo sostenible en el medio rural. San José, Costa Rica, Regional Unit for Technical Assistance (RUTA). Fondo Nacional de Financiamiento Forestal (FONAFIFO). 2000. El desarrollo del sistema de pago de servicios ambientales en Costa Rica. San José, Costa Rica.Mimeograph. Ministry for Environment and Energy, Costa Rica (MINAE). 2002. El éxito forestal de Costa Rica: en cinco casos. San José, Costa Rica.